As a photographer, you are often drawn to visually beautiful things, and like many others, I am a big aesthete. 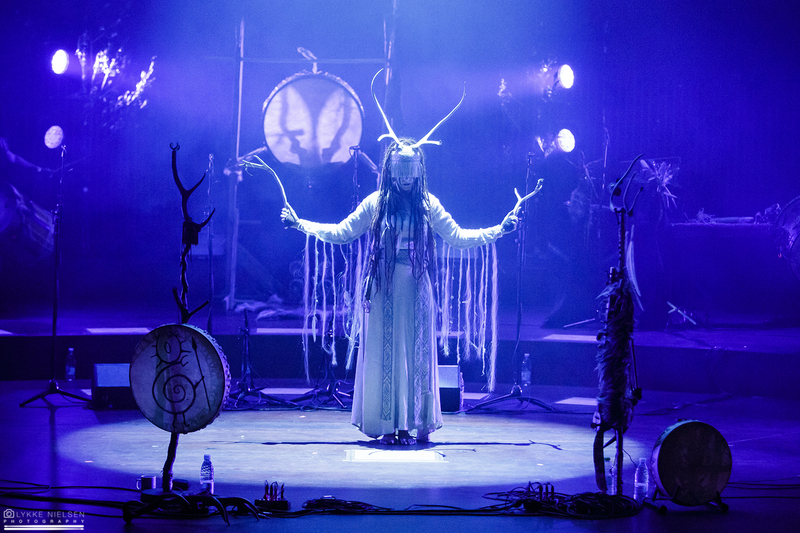 I had seen photos of Heilung before their concert at DR Koncerthuset tonight and felt curious, listened to some of their songs, and likewise became curious about the band’s musical universe, as I was also unexpectedly tasked with reviewing the show. 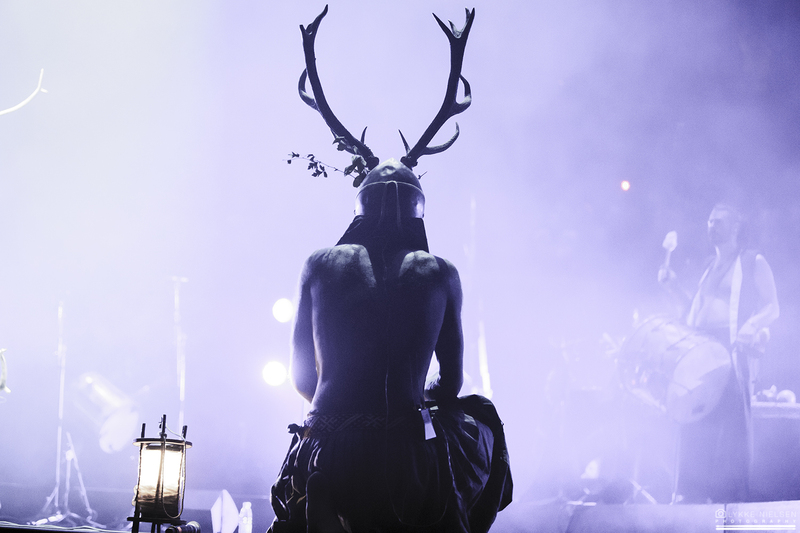 Finally, I had the chance to get the 'Heilung experience’, as they were set to play their first headlining concert in Copenhagen at the fanciest venue in town. And this was the perfect setting; once you entered the concert hall, you were met by runes projected on the walls and the sound of running water and birds singing resonating through the air. The band take their time to enter the stage, but as the room darkens, a man wearing a cowl enters and walks slowly around on the stage with an incense burner in his hand, spreading a distinctive scent around the room. Once the man has finished his tour of the ornately decorated, 360-degree stage, the band makes its entrance and assembles in a circle in the middle of the stage, holding each other’s hands for the opening ritual. And when that is finished, everybody finds her/his spot as the sound of a horn lets us know Heilung is about to start the concert proper with “In Maidjan” off their 2015 début album, “Ofnir”. From then on, we are taken on a journey that both is slightly confusing, and draws you in. The band has stated in the past that their objective is to induce in their audience a trancelike state, and this is indeed how it feels to watch them live. There is no doubt that we are listening to old medieval stories — hence this constellation labeling their own music ‘amplified history’ — but as most of the singing is done in medieval precursors to languages such as English, German and Norwegian, the actual content is lost on me. Still, understanding the lyrics is not a prerequisite to understanding Heilung. It is hard to put the experience into words, however, as the first and only thought that comes to your mind as the spectacle unfolds is “Wow!”. Heilung is the perfect mixture of pagan mystery, accentuated by Kai Uwe Faust blend of throat singing and vocalisation that, honestly, sounds like a human didgeridoo, Maria Franz’s beautiful clean vocals, and the back-up singing of Christopher Juul. These are the only official members of Heilung, yet in the live configuration the ensemble is much bigger. Drummers, additional back-up vocalists (who also play a variety of traditional instruments) and a 10-strong battalion of ‘warriors’, who dutifully follow the yelled commands of Faust as their Shaman, join the three on stage, and in a track like “Hakkerskaldyr”, they give you a taste of what they bring to the performance, jumping around, doing battle and crawling all over the venue amongst the audience. There is no doubt that everything that happens on stage is carefully choreographed, leaving little room for spontaneity. 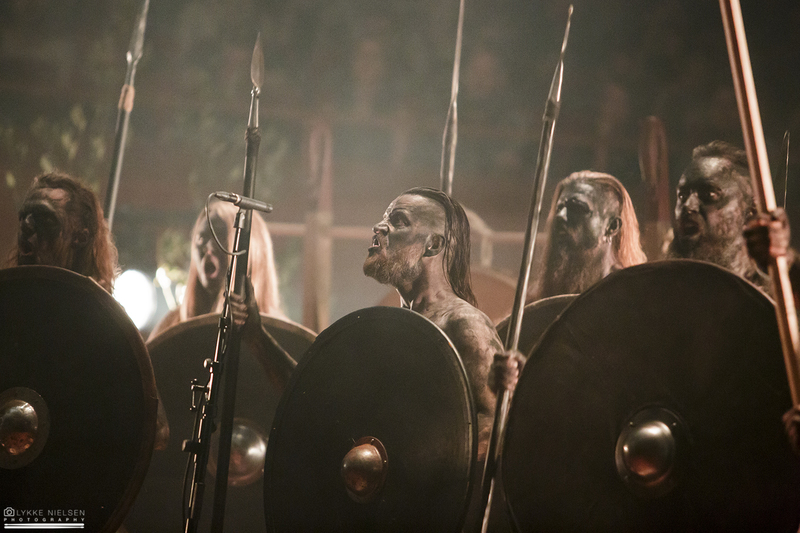 But if room had been left for that, Heilung’s performance would not be so spellbinding. It is thus impossible not to offer the band the highest accolades for this concert which leaves you hungering for more, and lamenting its coming to a conclusion. This will not be the last time that I watch Heilung live, and I truly look forward to finding out how the performance will work in a less majestic setting than the symphony hall at DR Koncerthuset.